Welcome home to Heritage Key, your home away from home. Nestled near Lake Tohopekaliga in Kissimmee, Florida, Heritage Key is just minutes from world-class attractions, sun-soaked beaches, fantastic shopping, epicurean delights and big-city entertainment. 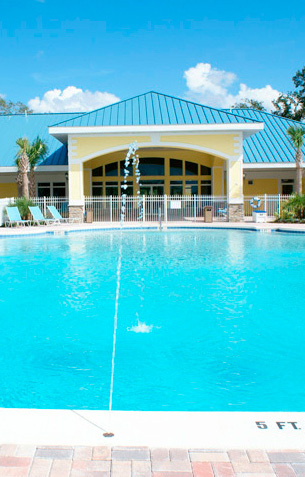 Heritage Key is conveniently located only 18 minutes from Orlando International Airport and 20-25 minutes from Walt Disney World and Sea World, making it the perfect place for family fun. Located right across the street from Heritage Key is Osceola Heritage Park. This 120 acre multi-purpose complex is host to the county's own annual activities and provides a venue that can accommodate a wide variety of events for attendees from all over. Osceola Heritage Park is home to Houston Astro's Spring Training, Kissimmee-St. Cloud Convention & Visitors Bureau, Kissimmee Valley Livestock Show and Fair, Osceola County Extension Services and Silver Spurs Rodeo.